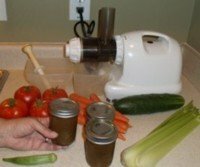 Healthy juicing comes from juicing vegetables with healing properties. Trace minerals are so important to super nutritious fruits and vegetables. Fennel Herb. Fennel is one of the principal healing herbs great for healthy juicing, widely believed to benefit the eyes, plus it can help to suppress the appetite. Lightly sweet, this herb tastes a bit like black licorice. Fennel juice has traditionally served as a tonic to help the brain release endorphins into the bloodstream. Endorphins are peptides which help to reduce fear and anxiety while causing a feeling of euphoria. For a single glass of juice, juice 2 or 3 stalks, with leaves and flowers. French green beans Vegetable. Juicing 6 a day is especially helpful for the eyesight of diabetics, plus they help in preventing sugar levels from rising right after a meal. They are rich in iron, and help to energize the body. They have anti-inflammatory nutrients like beta-carotene. Frisee Bitter Green. Milder, slightly bitter flavor. Also known as curly endive, frisee’s yellowish-green frilly leaves can be used in healthy juicing, or used in salads. It helps to reduce high glucose, and so is beneficial to diabetes patients. It is rich in vitamin A and beta-carotenes, which convert to vitamin A in the body. Vitamin A is beneficial for healthy skin and good eyesight. Garlic Herb. A known appetite suppressant. It also increases the brain’s sensitivity to leptin, a hormone that controls appetite. Studies show that one of the compounds in garlic has a natural antibiotic-like effect. It is antibacterial, antifungal, antiparasitic, and antiviral, but it must be consumed raw to have this effect. A garlic clove may be used as a seed and planted. Garlic is easy to grow. Ginseng Herb. Can help to boost energy, improve concentration and increase immune function. Siberian ginseng is especially good to combat stress. Both Siberian and American ginseng can give an energy boost when added to vegetable juice. Both berries and the root may be juiced. I try to include an inch of ginseng in all of my healthy juicing recipes. Ginger Root Herb. Helps to boost metabolism, and is the best plant source of zinc, which gives a big boost to your immune system. Good for heart and detoxing the liver. I like to include about an inch of ginger root each time I juice. It adds a nice flavor. Goji Fruit. Known as a super food. It contains an anti-aging antioxidant, and stimulates T cells, resulting in a reduction in fatigue and increase in the effectiveness of the immune system. It can help regulate blood pressure and blood sugar during the early stages of diabetes. Helps to minimize cancer growth by controlling the peroxidation of lipids. Has a positive effect on vision and can help to regulate weight. Is said to help with digestion and memory function. If you can find Goji fruit, it would be a wonderful addition to your healthy juicing. Grapefruit Fruit. Peal the fruit, leaving as much of the white pith as possible, since it is rich in bioflavonoids. It is probably best not to put the seeds through your juicer, as it may hurt it. Red grapefruit has antioxidants to help lower high blood sugar levels. Grapes Fruit. A good source of manganese, vitamins C and B6, riboflavin and potassium. These days grapes are receiving much attention for their resveratrol, which is an anti-aging antioxidant. Many people now take resveratrol as a supplement, but you can get a healthy portion by adding grapes to your vegetable juice. Green beans Vegetable. Green beans, like other legumes, are high in protein which can help regulate blood sugar levels. They are low in calories, yet help to give you that full filling. They are rich in manganese, vitamins C and B6, riboflavin and potassium, making them healthy for the heart. Green pepper Vegetable. We include a slice of this every time we juice, for a nice addition to the flavor. They are said to help with liver disease, constipation, arthritis and high blood pressure, making them a good addition for healthy juicing. Horseradish Herb. 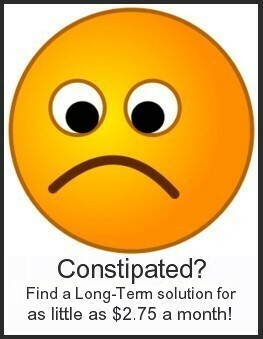 Can help with digestive disorders. It contains a significant amount of cancer-fighting glucosinolates. These help to remove carcinogens from the liver and may also suppress the growth of tumors. It also helps to facilitate weight loss. The root and leaf may be juiced. Jalapeno pepper Spice. When added to the items you juice, can help to increase the metabolism, plus they are anti-inflammatory. Capsaicin is the main chemical that makes jalapeno peppers hot. Capsaicin inhibits Substance P in the brain, which serves to transmit pain. Less Substance P, less migraine and sinus headaches! Jerusalem Artichoke Vegetable. This tuber is similar to water chestnuts in taste. It can be combined with carrot juice and beet juice to help lessen cravings for sweets and junk food. Jicama Vegetable. A sweet, starchy root of a bean plant which looks like a turnip. When this root is juiced, it provides an excellent source of oligofructose insulin, a sweet fiber with zero calories that is not metabolized by the body, making it an ideal healthy juicing sweetener for diabetics and dieters. Kale Dark Green, Bitter Green. Tastes a bit like broccoli, with a slightly peppery, bitter flavor. It is a good source of dietary fiber, and rich in carotenoid antioxidants, plus 47 flavonoids antioxidants, which are key in fighting the formation of cancer cells. It fight inflammation, and helps the body to detox. It has a huge amount of chlorophyll, another cancer fighter. Kiwi Fruit. Great for asthma sufferers, it can help to lessen trouble with wheezing, shortness of breath, and coughing during the night. Kiwis have phytonutrients, which act as an antioxidant and help to repair DNA. Contain folic acid, vitamins C and E, plus numerous beneficial minerals. Kohlrabi Dark Green, Vegetable. In the same family as cabbage, broccoli, cauliflower , kale, collard greens and brussels sprouts. Both fruit and leaves can be juiced. The leaves can help to cleanse the liver. I enjoy my healthy juicing even more when some of my juicing ingredients are from my own garden. My plants receive a healthy dose of sea minerals every time I put out compost tea or other liquid organic fertilizer. The full buffet of sea minerals just makes them taste better, plus it increases their nutrient density - more vitamins and minerals! Happy juicing!